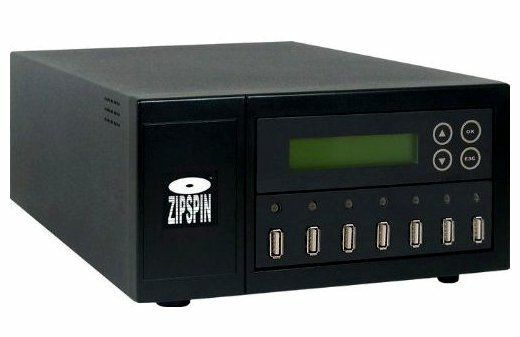 The ZipSpin USB Duplicator is simple and compact. The slot alignment allows for the master flash drive with up to 6 clones. Height x Width x Depth: ? ZipSpin also offers duplicators for CDs and DVDs .